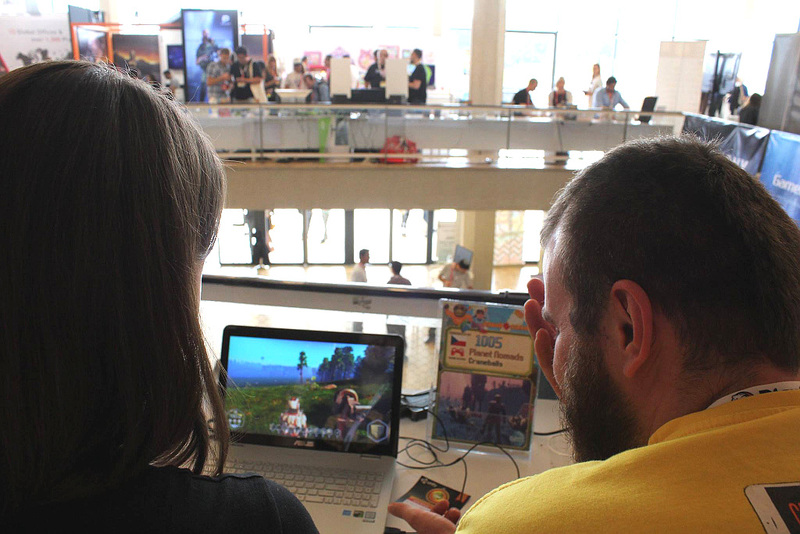 The blog has run into a one-week delay with the Casual Connect gaming conference last week in Tel Aviv, together with GDS Prague on Friday and Saturday. 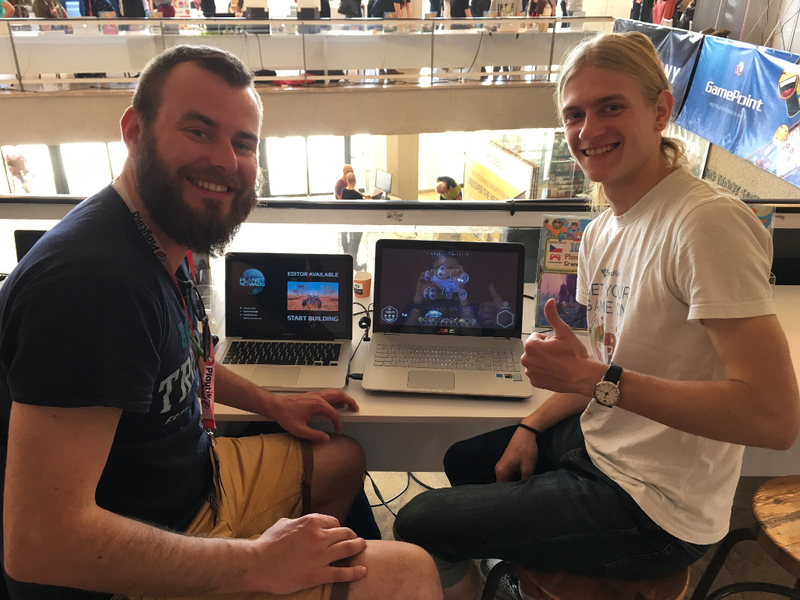 Casual Connect was not the best fit for Planet Nomads as the conference focuses on mobile games and not many attendees had the patience for a game with so many complex mechanics. We've learned our lesson and will be presenting a build with a huge theme park in the future, with many things already built to stimulate people's imagination. 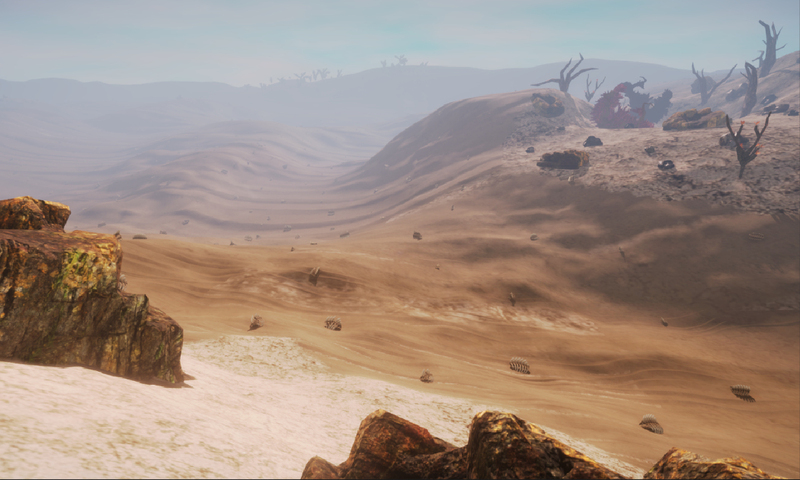 GDS was much better as Planet Nomads took compliments from gaming industry veterans who worked on hit titles like DayZ and Arma3 and are now creating their own brand of a sandbox game called Take on Mars. We've exchanged good tips with each other. So while Game Access in Brno in May was amazing and full of eager sandbox players, there were only five at Casual Connect, and this one was the greatest of them. Together we've figured out a vehicle design that never flips over. Works every time, although riding upside down can be hard on the stomach. 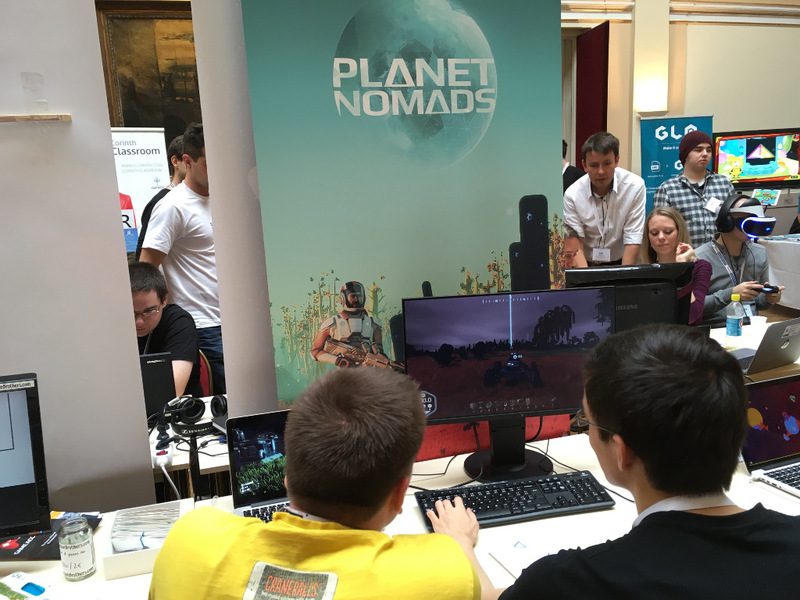 Daniel has also enjoyed the company of fellow Polish developers from Qubic, who were demoing their arcade space shooter Robonauts right next to Planet Nomads. 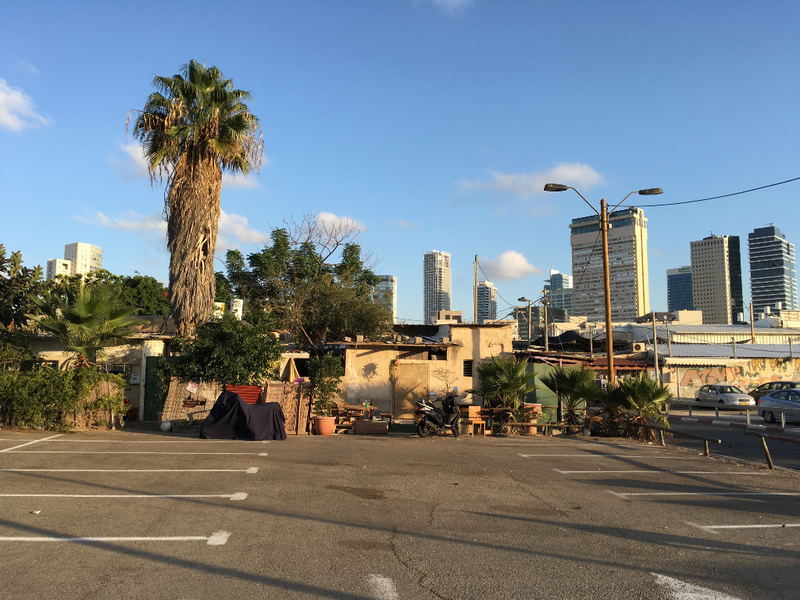 Tel Aviv is a marvelous city, where the old and the new meet, and we've certainly enjoyed summer temperatures compared to our country's temperatures coming to a freeze. 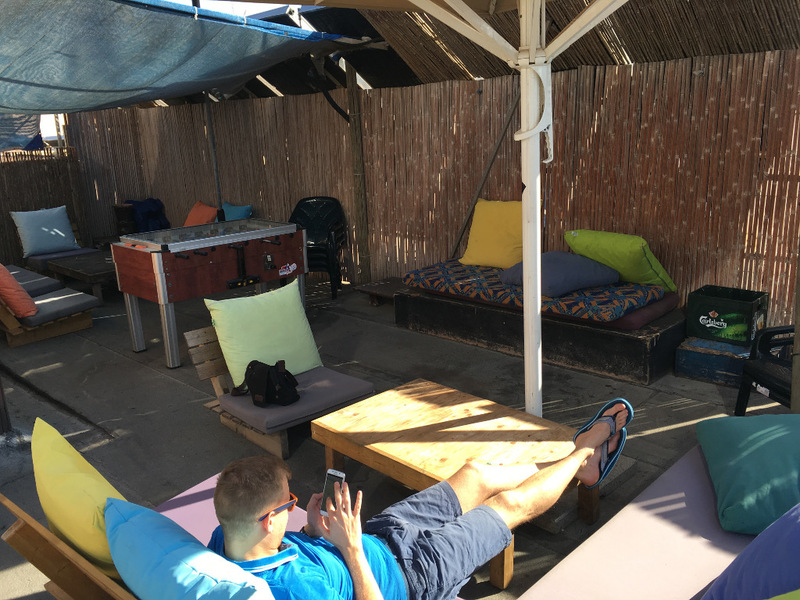 The hostel where we lived had the dopest chill out roof. In Prague, Maly Kuba and Pavel joined Daniel, as well as Jindra and Vlada from the Craneballs mobile division. Here's our booth with the classic roll-up, planetary beam lighthouse and Pavel in action. 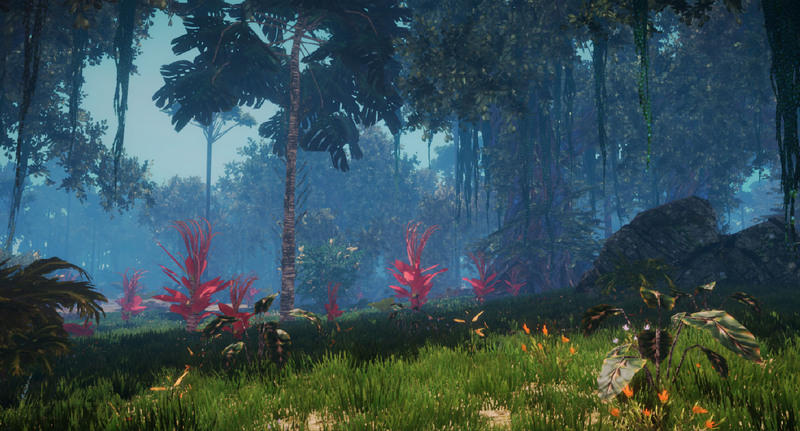 We've updated Planet Nomads to Unity 5.4.2 and Kubat has fallen in love with the possibilities it provides, and we believe you will fall in love with the new visuals too. Which brings us to the question "When will Alpha Nomads be able to play this version?" It won't be this year. The developer branch is currently unplayable; player controls, world generation, the interface, building, physics, everything is still under detailed scrutiny and rework. The Alpha Nomads are constantly on our mind and we are working to put the dev branch together and release to Alpha Nomads early next year, long before the public release of Planet Nomads on Steam Early Acccess and GOG Games in Development. There is an update coming on 1st December though! It will include the big blocks we uploaded on Trello some time ago. Walls, wall corners, new flooring, ceiling, stairs and more.